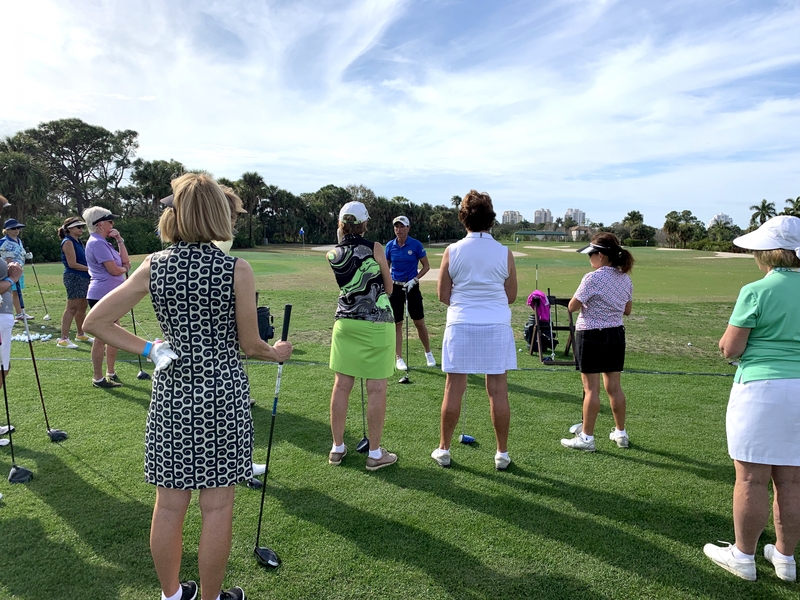 Saturday, February 3rd over 200 women took over Bonita Bay Club’s practice facilities, finessing their golf skills. This is the seventh Women’s Golf Day hosted by the South Florida PGA on the west coast of Florida. With the intention to help women gain golf skills in a fun and social setting, this event has inspired many women to get on the course with a new playing partner in tow. 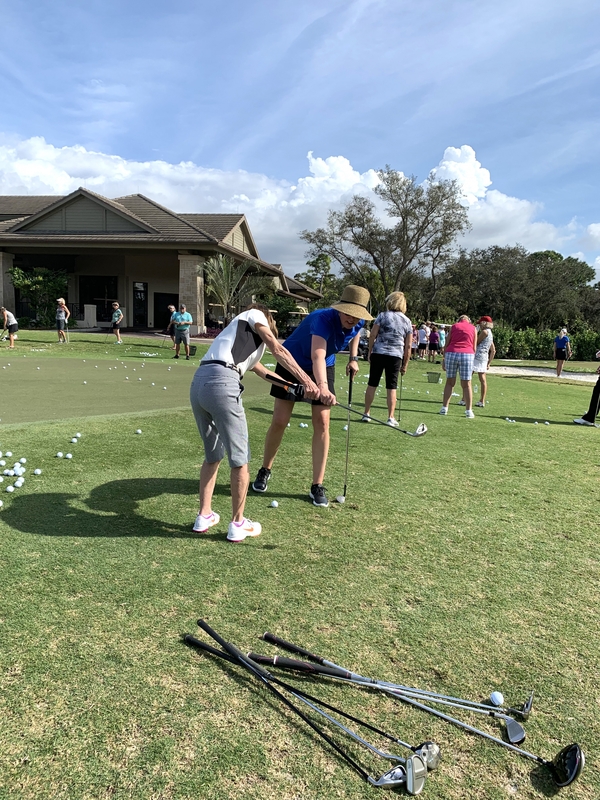 Nearly thirty PGA and LPGA Professionals provided their expertise at three different stations of putting, short game and full swing on the driving range. At each station women received group and personal instruction from these professionals. Many women learned how to get out of a bunker easier, adapt their swing to their flexibility, and new games and drills to get better at putting. To cap off the event, Megan Padua, PGA an Assistant Professional at Bonita Bay Club gave a putting clinic while women enjoyed a cocktail reception provided by Bonita Bay Club. Padua, one of Golf Digest Best Young Teachers in America and one of the Top 50 LPGA Teachers, provided games and drills to practice their recently acquired putting techniques and recommended women putt more like Wonder Woman. 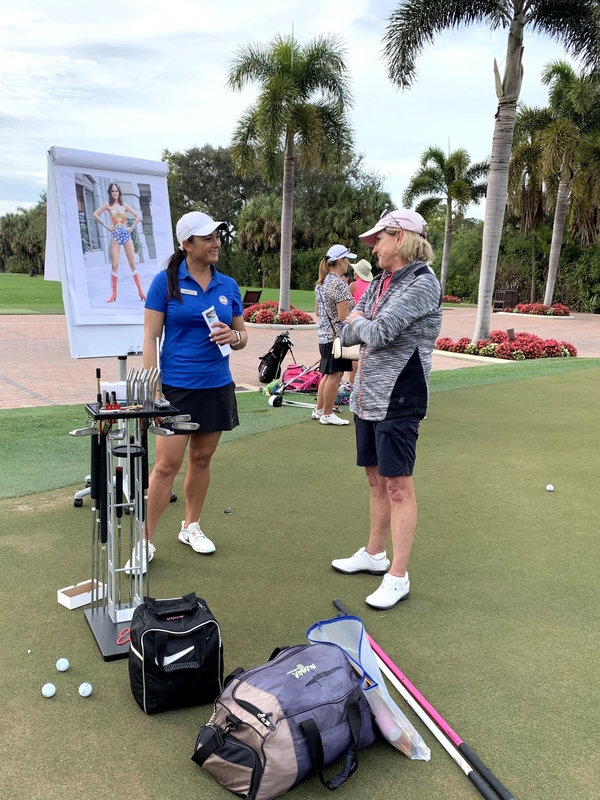 Throughout the day, women had the opportunity to ask lots of questions, meet fellow female golfers, and mingle with merchandisers that were present on the driving range including Adidas, Golf Buddy and Nike. 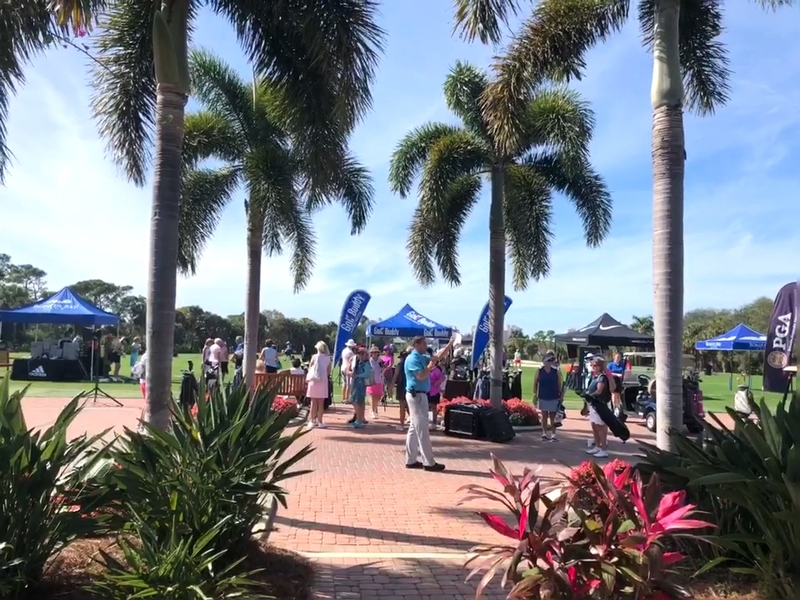 Women walked away from the event with a new club in their bag, the confidence to try a new skill from green to tee that was gifted to them from a local PGA & LPGA Professional. To see more images from this event click HERE now.